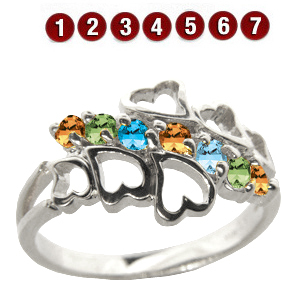 The 10k white gold family hearts mother's ring is set with seven round simulated birthstones. Select a birthstone for each member of your family. Each stone is 2.5mm in diameter. Made by ArtCarved. Import.